4 vendors have this plant for sale.54 members have or want this plant for trade. Eight years ago I bought 3 little starters @ end of season for 3$ each. They've thrived/multiplied/died/came back/over and over again. I've done the dry leave mulch in a chicken wire cage covered with plastic w/cardboard box around tub, have done nothing, have transplanted pups to over-winter in my living room and still have one large tub with several beautiful healthy mid-sized specimens that I plan to bring inside this winter as well. I've never had flowers or fruit and frankly it matters not. I love the huge leaves and tropical suggestion this species gives to my roof deck of conifers and Japanese maples.My neighbours say they know it's summer when they see my banana groves. Long live Musa basjoo! Great plant and great concept in the Buffalo NY area--a banana tree swaying poolside. I cared for it as prescribed. Watered it generously every day. It grew nicely. When cold weather came, I waited until it started to show the effects of the cold and, when there was no more promise of warmth, I cut it back to a foot, covered it with 3' or 4' of dry leaves and put a custom-made wire shelter over it & covered the whole thing with v. heavy duty clear plastic. Through the winter, I occasionally peaked and the leaf mulch stayed dry. A record 6' snowfall didn't take it down. It couldn't fail--except it did. I waited until late May and found...a completely rotted, mushy corm. Nothing to save. There are no guarantees in life. It was a nasty winter but I also wonder about a comment below about clay... read more soil. The banana had its original potting soil from the nursery around it but that was plunked into our clay soil. I am trying again this year. I had this plant for several years here in Indianapolis. I can personally attest that this plant survived several winters of below zero (mulched) with one winter that reached 17 below zero and it came back the following spring with flying colors. This little banana tree is extremely hardy and very prolific. Generally speaking, as far as the family banana Musa basjoo is one of the fastest banana for me. I got in late last year, it has risen by almost a meter so far and let the two lugs. I keep it in a pot because I want to strengthen it then goes into the ground with all the shoots. He knows he has a good thick trees, of course, if not jaw when removing sheets. I told her not cut the leaves until it dries. Generally suffer all the conditions are well proven as regards short frosts but as to the long frosts below 0C leaves but the tree remains frozen even if the protection when they know exactly harsher winters and to grow and has a huge list of what I extremely like about this species bananas. This banana loves the Vancouver/Portland area. I don't do anything to protect it in the winter, and it pops up in March at the same time as my hostas on the south side of my garage. I bet if I were to protect the pseudostem over the winter I would get flowers. We get plenty of rain here for these bananas too, I hardly have to water them. The only thing I worry about is too much water in the winter. It rains nonstop and I have had some issues with corms rotting in other banana varieties. I grow these plants outdoors in the Cleveland, Ohio area (zone 6). After the first hard frost, I cut the trunks back to a few inches and bury them under 1 to 2 feet of mulch. I then tarp over the pile. In the spring, lumps start appearing in the tarp and I know it's time to remove it. I remove the mulch around the beginning to middle of May depending on the weather. The plant seem to be completely deer proof although japanese beetles will chew the leaves. I tried adding an insecticide to the ground around the plants that's taken up into the leaves and that seemed to eliminate the beetle problem. I have had the plants for 4 years now and they reached about 9 feet tall this year. 1. Banana plants do not like clay soil. I dug a large hole and filled it... read more with a mixture of potting soil and perlite to improve drainage and then planted in that mixture. 2. Plan to water often. Every day in the heat of summer is not too often and every other day may be to seldom. 3) Fertilize often. I use a slow release fertilizer but liquid fertilizer is also great. 4) If the winters get really cold in your area, don't leave too much trunk on the plants. If the entire trunk is not well covered with mulch over the winter, it will freeze and act like a wick which will transfer cold down to the roots and kill them as well. I lost a few of my largest plants that way, trying to cheat and get bigger plants. 5) Allow space for the plants to spread. I planted two and probably have about 25 after 4 years. They send up babies from the roots right next to the existing plants. If you decide to dig up a small plant, wait until it gets to about 18 inches tall. It doesn't have enough of it's own roots until then. 6) Coco shell mulch and pine bark soil conditioner are excellent for protecting the plants over the winter. Both are light and contain a lot of dead air spaces to insulate well. The pine bark soil conditioner is generally cheaper. I have been growing these in MA for several years. My first came in the mail from FL and I planted it outside in the spring. It took off. It had bananas this year in late June. There have been many pups for future growth. I use uplights to provide a real tropical look at night.After the first frost, I cut the psuedostem to 2' and put a chicken wire cage around and fill with pine needles and cover with tarp. I unwrap on april 15th. Here in North Georgia at the Southern end of the Appalachian mountain range these are growing like crazy. For the first few years I took lots of care of them in the Winter- piling leaves up 3-4 feet around them, and putting a plastic teepee over them. Last Winter I got lazy and only put some leaves around one of the plants, I didn't cut them down or do anything to them, just let the frost kill the leaves back. At the slightest hint of Spring they start trying to push new leaves. Lately the local garden center started selling these (none of the chain stores do though) and I've bought two more to plant out in other parts of the yard. They are obviously VERY hardy plants and grow at least a foot a week in the growing season, and will stay green till late November or later! I love these musa basjoos in my tropicalesque garden, they go great with other hardy tropicals like Windmill palms, Hibiscus Mosceutos, bamboo, cannas, etc. Simply amazing, beautiful, exotic plants! These guys are troopers! I know winter isn't over yet, but I had to comment on this banana. Here in southeast Arkansas, it's perfectly cold hardy--even in unusually cold winters. We're in zone 8a (more like zone 9a lately). I have specimens planted all around my house, and here are my observations of its cold hardiness--particularly its leaf/growth hardiness. At 32* F, expect the leaves to burn some, though not completely. But once colder temperatures set in, all the leaves will burn. The ones with pseudostems/"trunks" 2-3 ft tall are still pushing green growth very slowly. Their offsets will turn to mush, but will come back in spring since they're root hardy. One planted on the north side of my house--the coldest part--has 3 feet of pseudostem, and it's still pushin... read moreg green growth after a total of 15 light freezes, 3 moderate freezes,18 light frosts, 3 moderate frosts, snow and sleet on Christmas day, and a low so far of 24* F, with plenty of rain, a water line that busted and flooded the area it was planted for 2 days with nights a little below freezing--all this with no protection whatsoever. It's powdered with snow, and it's still pushing green growth! I love this banana... for two reasons. One it survived the winter without problems with a rose cone on top of it. Other reason its staring to out completed my cannes which am very surepressed that live this last winter. We planted 2 of these in the summer of 2010 on an eastern exposure protected from winter wind by our deck and house. The winter of 2010-11 was bitter and extra long with cold and frost through the 3rd week of May. We had covered them with oak leaves in hopes of insulating them further. At the end of June, we gave up hope.However, while weeding in July I discovered growth on one. We dug it up and potted it and it grew very slowly. We brought it in this winter, but I believe if it had been a milder winter that year, it would have flourished. We are 5 minutes from the northern ill/ southern wisconsin border so this plant is very hardy! Quite an easy plant to grow. A business near my house has them planted along the foundation and they come back year after year, now in very large clumps. I have planted one in my yard and in peak heat and humidity would get a new leaf roughly every week. It doesnt appear to be bothered by insects in my yard. I had a rough summer with Japanese beetles, aphids, spider mites, and white flies. None of them attracted to the plant. Keep it watered and fertilized through the summer. Water once a week if there is no rain. In the winter just cut it down and mulch deeply. Here in zone 5a I am able to keep a plant alive as a dieback perennial in a deep mulch bed far from any structure or form of protection. Wait for daily low temps to reach into the 60s to see it break dorman... read morecy and start growing above ground. I've had the Musa Basjoo growing in front of my home in Philly for 8 years now, I never bring it indoors even during the coldest winters! all I've ever done was to add two foot of mulch the first time I planted it and in the fall I use the leaves from the plant itself to cover the ground where it grows. Thats it! Every spring I get anywhere from six to ten plants poppin' out of the ground that grow to about 15 foot or more! How easy is that! ;0) (it really is that easy!) EDIT: I forgot to mention for the past 3 years I've cut the plants down to about 4 to 5 feet instead of 2 feet during the falls end when the weather gets really nippy, the trunks survived all 3 years! they loose about 2 feet but I have gotten them to grow out of the surviving trunk which I think is really cool! I'm sure i... read moref you live in or around Philly you know our winters are harsh! A quick thought on the cold weather prepping of the banana, and or all sensitive plants for that fact. I read in this thread about using Christmas lights (handy idea) to keep the base of the trunk warm enough to prevent freezing. That made me think of heat tape. Not sure if anyone is familiar. We use it here in ohio and most cold places to prevent freezing of pipes and such out doors etc. It is an extension cord shaped piece of "tape cord" that kicks on when ambient temps fall below avg 40 deg f.
Any thoughts on whether this would solve the need to bring indoors in the really cold winters nights with heavy winds. Thank you all. and continued success be yours. I've grown basjoo outside year around in Kansas City, Kansas for 9 years. 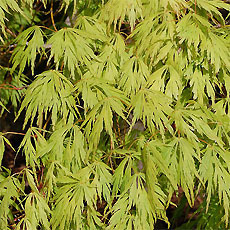 Before the first freeze, I cut them down to about 18 to 24 inches and mulch with DRY leaves. They are then surrounded by insulation and covered completely with a tarp. Any water that gets in will take them to the ground as a mushy mess. They'll still come back, but not to the height they would have reached if they remained dry all winter. Dependent on the weather, I've uncovered them as early as early April, and left them uncovered as late at the middle of November. Doesn't always happen that way, but five or six weeks of additional growing season makes a big difference with these fast growing plants. I water heavily all summer and feed with either regular MG or Peter's every couple of weeks. They a... read moreppear to be heavy feeders. They get full sun and while the leaves will droop in the hot mid-day sun, they spring right back. These plants are quite the conversation piece in my yard here in Kansas City, Kansas, especially when they bear fruit. I find that a plant here will take three years to produce bananas. 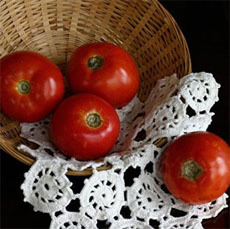 The fruits are virtually tasteless, but the sugar water in the flowers is very tasty. (The bees think so too.) I usually have at least 20 or so growing in various states, and they will easily attain 15+ feet in a single season. I've uploaded two photos. My hardy banana is just coming out of the ground after a long winter, where temperatures hit +3 degrees F. The trunk was protected by means of a chicken-wire cage, packed with dead leaves from my garden. The crown of the plant was covered with a reasonably deep layer of well-rotted manure. Despite these measures, the trunk had frozen by the middle of the winter and was just an indistinct rotten mass when I removed the cage. The crown looked well though, and now new shoots are coming around the base of the old plant. I expect at least three stems to grow and reach 6 feet by the end of the season, if I'm lucky. All of this is happening in Sofia, Bulgaria, 2300 feet AMSL, zone 6b. I live in Tulsa, Oklahoma and first planted my musa basjoos in spring of 2008. I originally purchased 6 plants from a local nursery and they were very small 1qt. containers. They did not have much of a corm back then. They grew up to 15ft by that first growing season and I had multiple pups by fall. I harvested the pups to start more basjoos and grew the pups inside during the winter and left the mother plants outside. I really did not do much winterizing other than cutting the plant to about a foot back and dusting the base of it with about 3 inches of mulch and dead leaves. We barley had any winter temperatures under 28 F but there were a few days that it did get pretty cold. In spring of 2009 they tops of the basjoos were a nasty mushy mess and I thought I had surly lost them, so I ... read morebegan to dig them up. Just the main site where the original stalk was, had rotted. I dug the entire corms up and cut away all of the rotted area and plopped them all back in their holes. Gave them a shot of millorganite and watered them. They all came back and with a fury too! 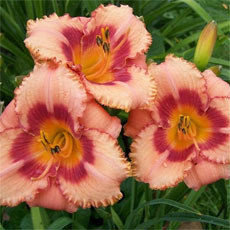 I had masses of these babies!, Each original plant produced 4-6 pups and the pups themselves were growing like crazy! Well here is where the bad news starts. I was injured pretty badly in the Fall and could not get outside to dig up any of my tropicals. I lost hundreds of caladiums, some uprights, and some tropical cannas. I just had to sit and watch this winter eat them up! I even did not get to put any additional mulch on my bajoos either and did not get to cut them back. Christams Eve we had 14inches of snow and two solid weeks of temperatures ranging from 0 F to 15 F. Well last week all the snow had melted and it was about 50 F outside soI had finally started to recover enough from my injury that I got my crutches out and made it to the murder scene and began to see if there was anything left of any of my tropicals. I began to dig up soft caladium bulbs and maybe saved a few that were fairly firm. I dug up all of my EEs ,and uprights with about half of the bulbs/corms rotten at the surface level to abut 4 inches down. FInally I crawled my way over to my first musa basjoo and was not looking forward to seeing its mutilated mushy mess. I cut all of the dead plant off and dug up the entire corm. There is a good 1ft across the corm that is just total mush but about 60% of the main corm was still solid as a rock and I see some tiny pups on it. I went ahead and took the poor thing inside and cut all the rot off with an electric knife. SO here I am with this pretty good sized 15lb corm that is just mutilated. I am wondering if I can treat this like I do my EE's and just cut off the rotten part, let it dry out and store it in a dark cool place and then replant it in the spring, or should I pot it up in a container and start watering it. I was also curious if I could actually Divide the main corm into quarters and pot them up so that they are more manageable in size because right now I would need a HUGEEEEEEEEE container to accommodate this corm. I really do not want to loose this plant. I could not find any last year in any nursery here, so I really want to keep this plant alive if it isnt too late anyways. I have 6 more main corms outside still and right now there is 1/2 inch of ice on the trees and surfaces outside and 8 inches of snow on the ground. The rest of the basjoos may already be dead from this latest round of winter weather. I swear I would dig them up in the snow just to save these guys if there is still hope! Please does anyone know if I can treat them like my EE's? Or if I can cut up the main corm into 1/4's? Storage like a bulb? or pot it up? Any help or other experiences like this would be just great! Thanks. The best banana to grow in colder climates. It can grow to 20 feet in one season in an established clump. Provide mulch during the winter if temps fall below 15 degrees. 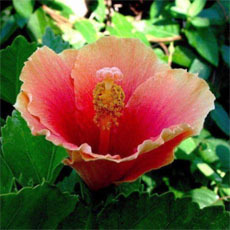 It's simply an awesome plant to grow for a tropical effect. I wrapped the trunk with the large C-9 christmas lights and they kept it warm enough during the winter that there was not die back. The leaves were burnt when the temps were below 25 but now, in June the plant is taller than the first floor of the house. I hope to see a bud and blooms soon! At JC Raulston Arboretum at NCSU they have some large clumps that bloom every year and they only cut them back to about 4 feet in the Spring to remove burnt folliage. I gave this plant the best microclimate on my property, against the south foundation in a window well protected from the north and west winds. With a foot of leaves mounded over it, it has rewarded me by surviving this typical zone 5b-6a winter. This is truly a musa for the masses! My Basjoo has been growing for two years near the North Shore of Lake Erie near Kingsville, On. I originally started with a 1 gallon pot and a 7" plant. I fertilize it with the filtered sediment from my fish pond. I winter it (cut to 3') using chicken wire, mulched dry leaves and a tarp. This year multiple plants reached 15+ feet with 6' leaves. I split some of the pups (with some root) late in the summer and put them in small pots. They are currently thriving indoors in an East Facing Patio Door Window. My goal is to plant them outdoors in the Sping. They are definitely the show piece of the yard. What a great plant! This is my first year with this plant and I want to make sure I over-winter it correctly. Currently it is about 7 foot tall, I've put straw around the base and trunk, but have not cut it back. These have got to be the easiest banana species to grow anywhere. They easily stand neglect and drought better than most plants. Mine in a good year will have pseudostems exceeding 10' tall with leaves over 6' in length. We've been in a severe drought all summer and fall and I've not watered them at all this year and yet they stand proud and tall and look nicer than most of the more tropical species that you will see in Florida. A more vigorous plant you'll be hard pressed to find. 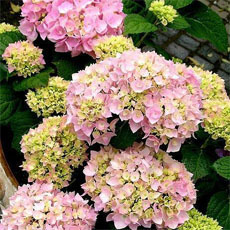 If you do decide to water and fertilize them regularly, be prepared to be impressed. I'm in northeast TN right on the VA state line where I've been growing them for almost fifteen years and people still can't get over the fact that I'm not only growing real bananas but that they are growin... read moreg in my yard and live through the winter. If you can keep the main pseudostems from becoming completely frozen through, they will come back from them the following spring and get gigantic the next year. If they get frozen through, they will come back from the numerous suckers around them and even they will get quite large the first year. I'd recommend that first year plants get a large mulch of straw or pinestraw the first winter or two until the underground rhizome get's established. Do not use leaves for the mulch as they retain too much water and you risk rotting the plants. I almost lost mine one year early on by constructing cages of chicken wire and filling them with leaves. I'd recommend cutting the stems off to about 1'-2' high after the first really killing frost. If you wait to remove the old foliage and freeze damaged stems until the spring, it's a royal mess and a huge job. After cutting them down, just mound up the straw or pinestraw a couple of feet tall and at least two feet out from the plants and you'll be fine. Once you notice growth in the spring, remove the mulch so that they'll respond to the heat and then stand back! They will literally produce a new leaf every week or so once it warms up. The only pest I've encountered is Japanese beetles, which do minimal damage considering the size of the leaves. The biggest problem you'll have is removing suckers so that the growths aren't so close together which might be an invitation to a fungal or bacterial disease. They grow so well that you can easily have a sizeable grove in just a few years if you're not aggressive with all the suckers that sprout up. 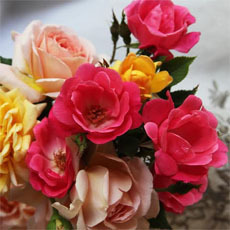 They will root easily when removed even if they don't have any apparent roots if the cut is treated with flowers of sulphur along with a little Rootone. I've seen them in bloom at the person's who gave me my start and even though the inedible fruit will not mature due to cold, they are still impressive. I've sold a bunch of them at yard sales and have people stopping by to ask for starts of them all the time. My plants came originally from a lady who brought one sucker home in a napkin in her purse from her husband's family's estate in Italy back in the 1970's. 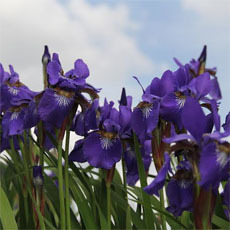 They are very popular as a landscape plant all over Europe and the UK. 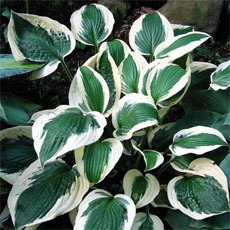 Grow them for the tropical foliage effect and you won't be disappointed! This was my first hardy banana plant. I live in Indianapolis and my yard faces south and east. I get a lot of sun. It was in a gallon pot when I planted this beauty... it grew to the top of my gutters!! Beautiful plant.Here it is a few days away from November and it still looks great. I tried to dig up a smaller "baby" yesterday but I do not know if I should just cut the large plant down and mulch it.This morning my transplant looks a little wilty.The rootball is huge on the large plant.What should I do? simple protection of christmas lights and mulch worked! after -14F i expected it to die compleetly to the ground, but there is still 3 inches of pseudostem left above the ground.... but we are not aout of the woods just yet.... expecting +4 in the next couple of days. and still about another month of winter weather. Musa basjoo is a relaible perennial in zone 6a/5b (lawrence, ks). I am a landscape architect and have used this plant in our plant designs at least 50 times in the last 4 years. Small 1gal sizes should be awoided in cold climates; they usually do not have a chance to get established. We use 5-7 gal for all plans. we have never had to replace an established specimen. The plant dies to the ground by december and regrows in early april. Its growth potential in our area is 18 feet but more typical heights of 7-10 feet are achieved. We are experimenting with several other root hardy tropical plants to use as perennials. According to my information this plant is hardy to 5 if well mulched and maybe even zone 4.
in lexington, sc the fiber banana is very common and needs little if any protection during the winter. it is the same here in hilton head , and usually keeps leaves and keeps growing a little in the winter unless a severe cold snap hits. Then it gets damaged, and then continues growing. the reason it is planted in the lowcountry is because of the color of the flower sheaths and that it keeps its leaves usually. otherwise if the gardener is like all y'all yankees up north, they will just grow the edible friuting kinds so they can be more "tropical". Our tree is growing fast, and overall we're extrememly happy with it, but its looking more and more yellow with the leaves turning brown around the edges. Has anybody experienced this or have any suggestions on what we can do to compensate for this problem? The soil drains well and other plants within the planter are thriving. This plan grows well in most soil conditions provided it is mulched well. In fact, I have had great success growing these trees where the soil was so hard that I had to use a pick to break the soil enough to plant it. Do not expect the plants to really take off until year two. Then look out, they will multiply and grow around 14 feet in one year. If you count the top of the leaves in the measurement, they can achieve 20 ft in one year! The most significant pest that attacks these trees seems to be the Japanese Beetle. Of course is there anything in this area that escapes these pests? This is a fabulous plant in McLean, Virginia. Mine is on its 4th year and thriving. I have given baby banana plants to at least 4 people who have also had great success with them. Mine is the focus of my "tropical bed." It makes all the workers from Latin and South America homesick. 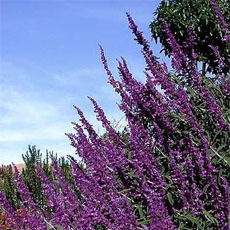 It has grown to about 13 - 14 feet tall each summer. In the fall I cut it down to about 1 foot and mulch heavily with leaves. I have sometimes covered it with landscape fabric as well. I do get tired of being asked "When will it produce bananas?" I've had my Musa basjoo for over a decade and it's a large clump. Protect stems from frost produces taller plants the following year. I use a cage filled with leaves covered with a black bag. Good fast grower when properly fertilized. I use fish fertilizer and very organic/compost soil. Once flowers/fruits stem dies. Propagate from division or tissue-culture. With the cold winters and hot dry summers, it's hard to find anything nice to grow in Wichita Kansas. However, the musa's have done just WONDERFULL! They have come back year after year without fail. The only problem so far... all of the neighbors want a start! My hearts too big and I give the "pups" away. Guess I need to be more stingy. Love the plant and dont mind the extra watering in summer. This plant is just wonderfull! Am submitting a picture. I have had my musa basjoo in the ground less than a year. I mulched it in with about a foot of straw this winter, and it had a new leaf coming out BEFORE the end of February! I am SO pleased with this plant. I have a musa basjoo at my house here in iowa. all you have to do to prepare it for winter, is to cut the trunk down to 10" or 1'. THIS THING CAN GROW 12 FEET IN ONE SUMMER!!!!! Here in the Netherlands it's a fabulous plant. Not many Dutch believe this is possible in Holland..but it grows fine in my garden as a shade giving patioplant after 4 yours in growth. Musa basjoo is said to be cold hardy to temperatures as low as -20F. I recently purchased a Musa basjoo back in May and planted it in the ground. It seems to grow rather quickly, currently 1.5 inches per day during this heat wave. Seems to thrive here in Murphysboro, Illinois(USDA zone 7a). I have driven by many yards here in extreme southern Illinois and saw this specimen thriving at over 14 feet tall. It is a perennial to this area dying to the ground in late fall and returning in the spring. One must keep it out of the wind to prevent the leaves from ripping. My Musa basjoo was purchased in a gallon pot several years ago. I kept repotting until it got so big that it was impossible to move the pot. It survived year round on the deck here in western Washington state, losing its leaves in the winter, but would quickly re-leaf in the spring. I finally moved it into the ground in a protected corner next to a Koi pond. It is now over 14 foot tall and has 9 trunks. Adds to the tropical look in a wet and cool state, but it still has yet to bloom and bear fruit. I doubt it will, but is worth the effort for its shock value in the garden. It needs good rich soil, plenty of water and protection from the winds to keep from shredding the leaves. it benefits by a nice topping of steer manure in the early spring. Pr... read moreopagate by offsets.